Bento for Kidlet: Happy Belated Valentines Day! 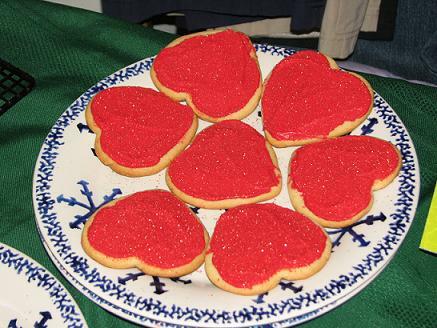 I made these last year and Kidlet and his friends loved them so much that he asked me to do them again. I was up until 3am the night before the party. I think I forgot how much work they really are! Here is an example of the valentine. 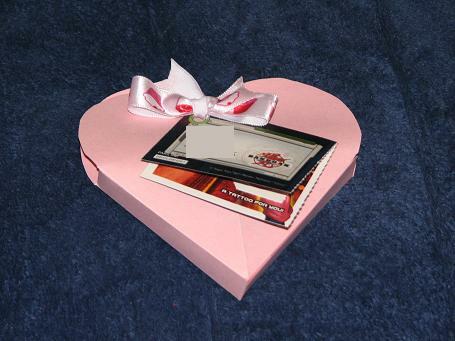 It is a heart shaped box with a cookie inside and the valentine card attached. I used the template from Martha Stewart here They were used by Martha as a candy box but worked perfectly for a small sugar cookie. All of the boys got Bakugan valentine cards attached and the girls got Build-A-Bear! As you can see there are a lot more girls than boys in Kidlet's class! 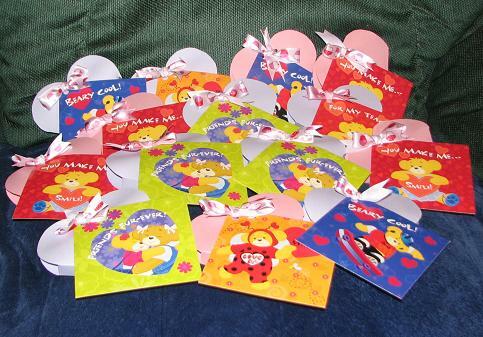 You're a so sweet mom to give Valentines presents to all kid's in his class! Awesome! 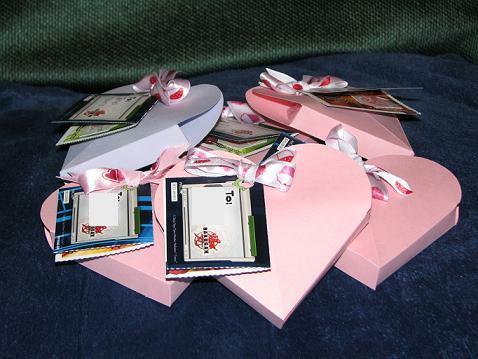 That's such a cute idea and way better than the chocolates that usually come inside ~ I'll take a cookie any day!